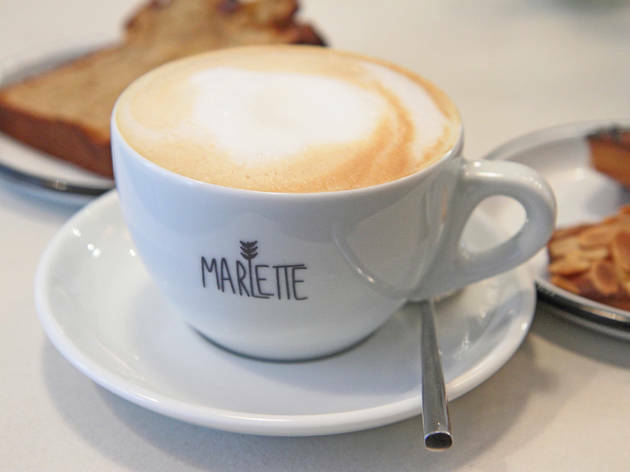 We've scoured the city in search of the best cappuccino and a bite to eat. With every month that comes and goes, a new coffee shop opens its doors. 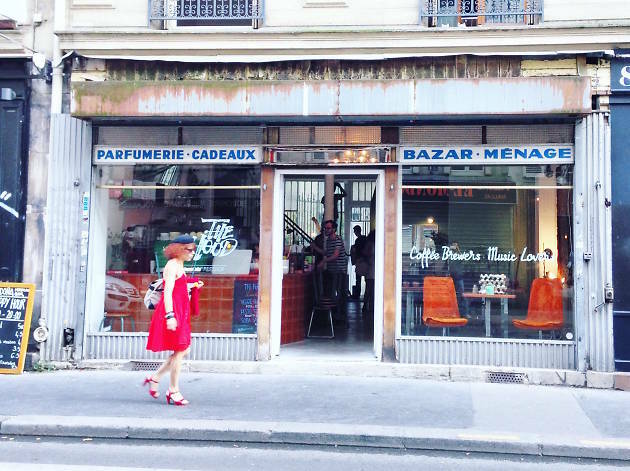 The specialty coffee market is flying high and Paris has become a hub for coffee lovers. 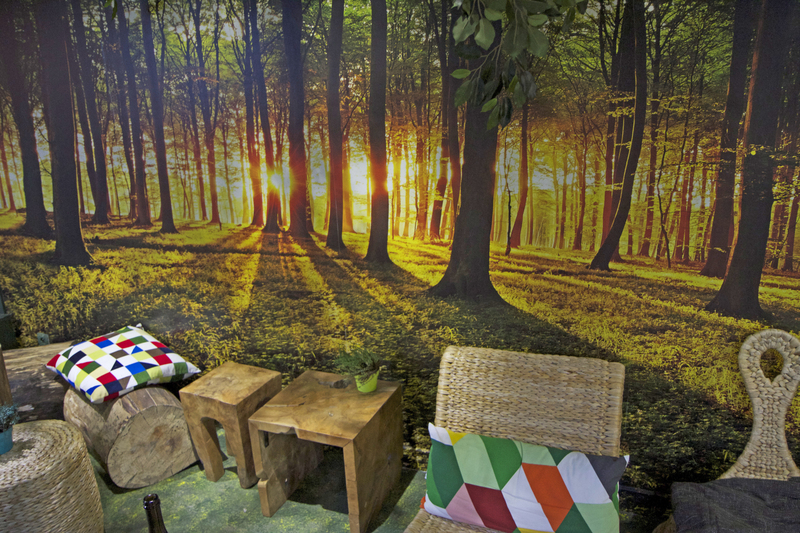 Have a look at some of our new favourites which are dotted around the city. The set-up? The place to drink Brûlerie de Belleville coffee, of course. 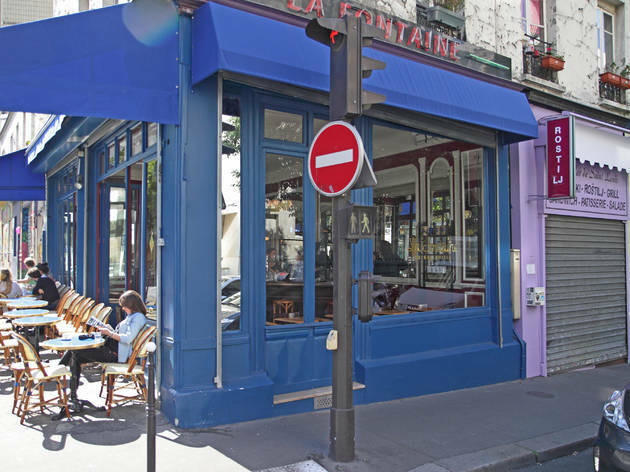 Thomas Lehroux's reinvented Parisian bistro is not exactly a coffee shop, but so much the better. 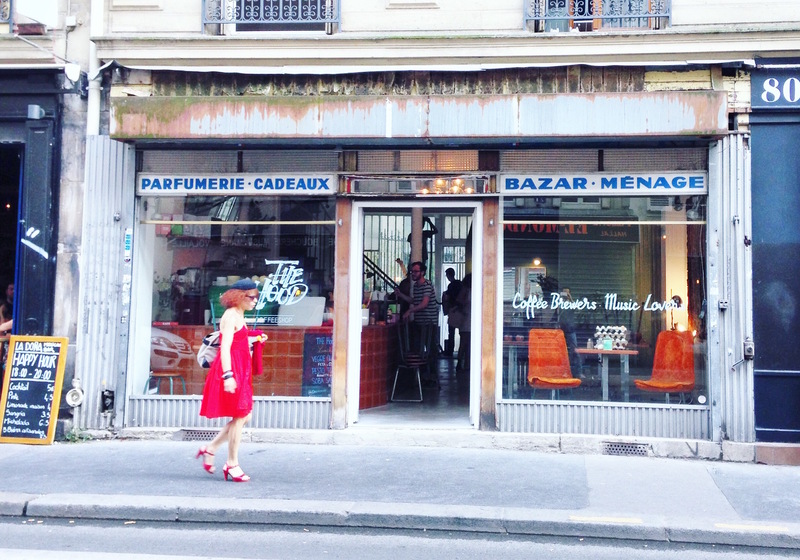 Getting great filtered coffee for €3 is a luxury in Paris. The food? A classic ham and cheese baguette. The vibe? 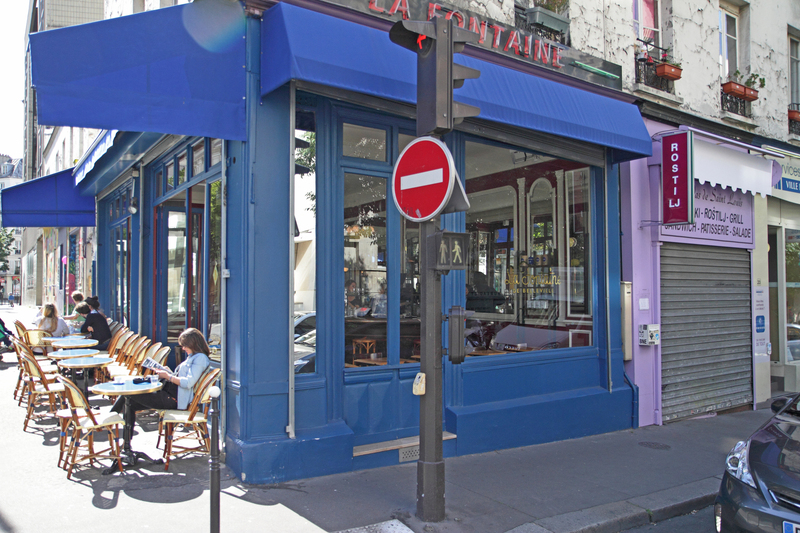 A sunny terrace, with a calm and charming bar. The set-up? 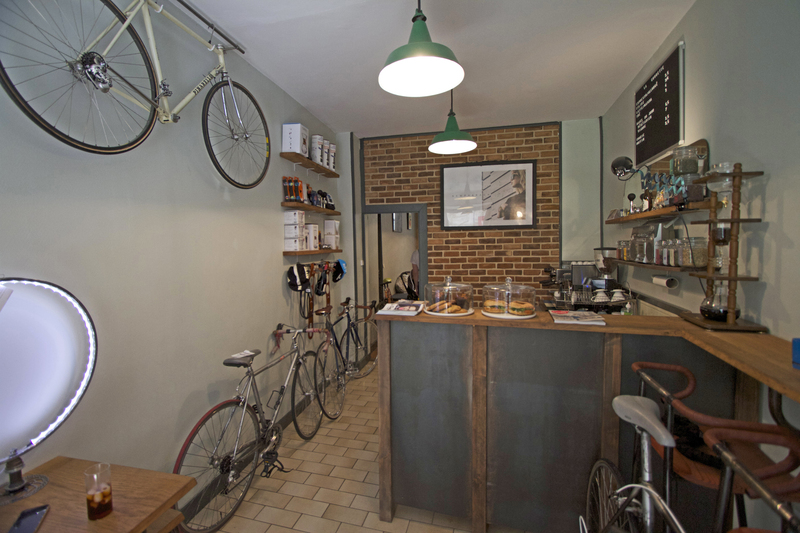 Sitting in between two cafés that are signed la Brûlerie, at La Chouette you can repair your bike or even buy parts. It’s effectively, a coffee shop pit stop, which works like clockwork. The food? Bring patisseries from Rachel's next door. The vibe? Quick service, with a bit of oil on the hands. The set-up? 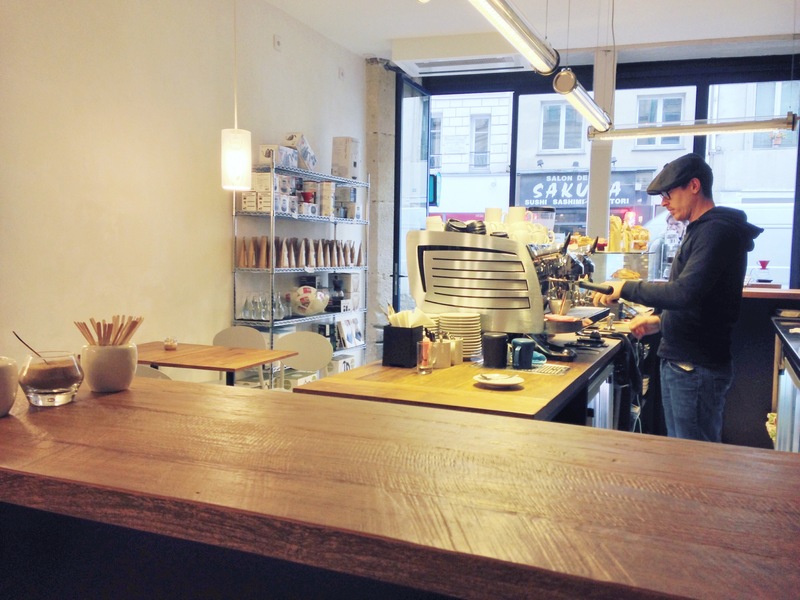 Drink the specially roasted coffee by Denmark’s Coffee Collective and other Parisian roasters. The owner is a photographer and you'll find a rolling exhibition of his shots on the walls. The food? The magnificent Scandinavian open sandwiches. The vibe? A bit Scandi, a bit Yankee, very organic. The set-up? A sociable place reminiscent of the coffee shops of old. 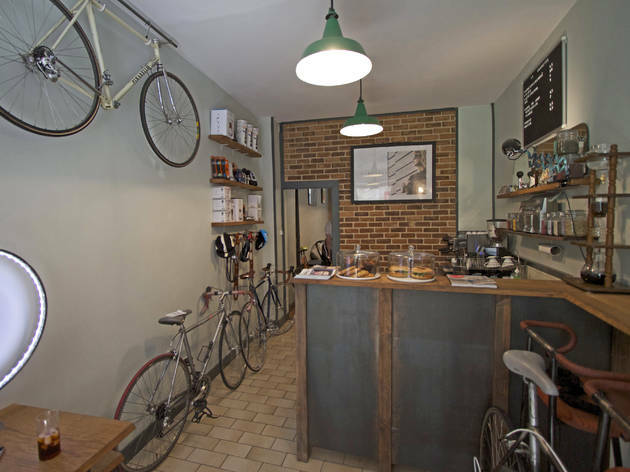 A large canteen-style space, with high tables, newspapers, and a very affable owner. Trust us, you won’t stay in your corner for long. A bonus is that the coffee is roasted on site. The food? The plat du jour is good, however the breakfast a little disappointing for its price tag. The set-up? 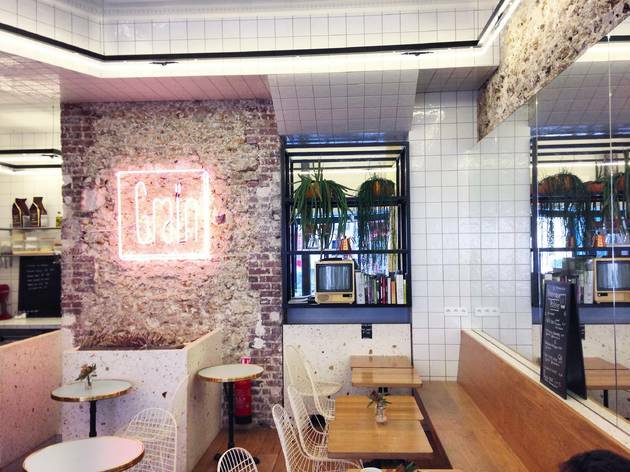 This cool spot gets its coffee from The Beans On Fire. For those of you looking for some extra entertainment, there’s a Nintendo station in the corner. The food? A bit Mexican. Having worked at Chilango and the Chambre noire, Mario Flores whips up guacamole, quesadillas, burritos and savoury bowls. The vibe? Cosy and cool. The set-up? Come for lunch during the week, or set yourself up on your laptop in the afternoon for a bit of peace and quiet. 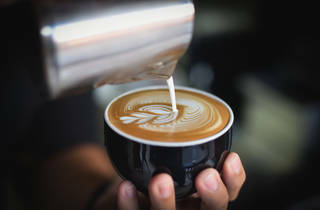 The coffee comes from Coutume. The food? The 3 ‘S’s: soups, salads and sandwiches. 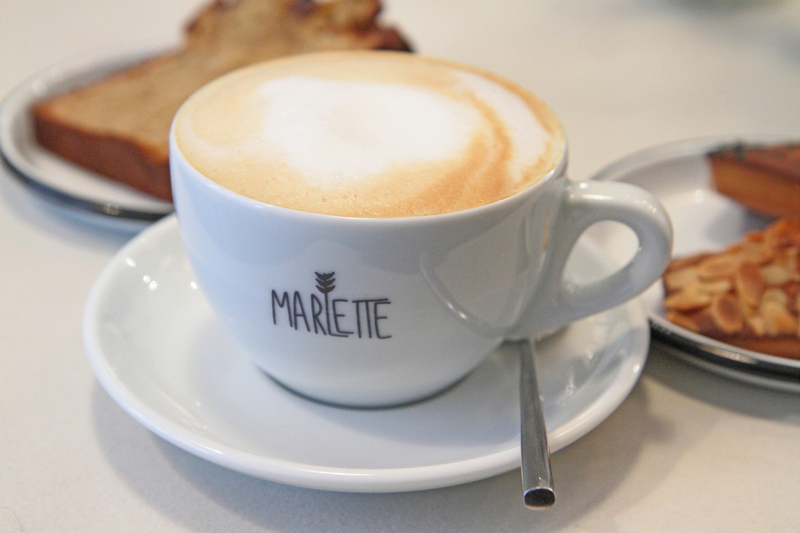 Marlette has especially made a name for itself with the organic ingredients used in its cakes and patisseries. As delicious as they come. The vibe? Chilled in the morning and afternoon, but loud during lunch time. The set-up? 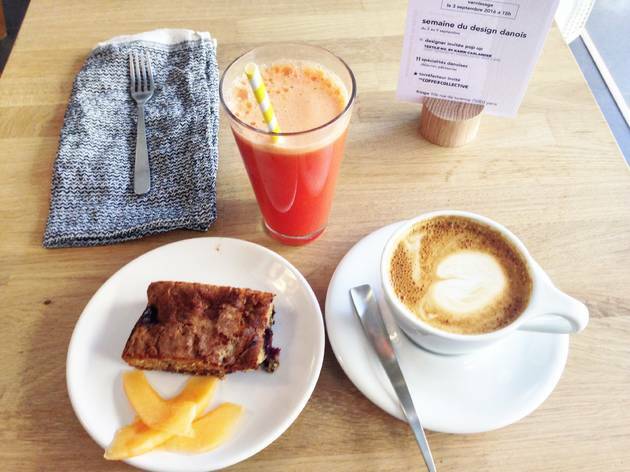 At the weekend, take refuge in this Berlin-esque café when Café Oberkampf is filled to the rafters. Work here during the week if you have the luxury of working from home. The food? Sandwiches and salads crafted by the Franco-Vietnamese chef Khan-Ly. Coffee comes from the Brûlerie de Belleville. The vibe? Hidden and happy. You'll find The Hood behind the façade of the previous bazaar that used to be here. The set-up? 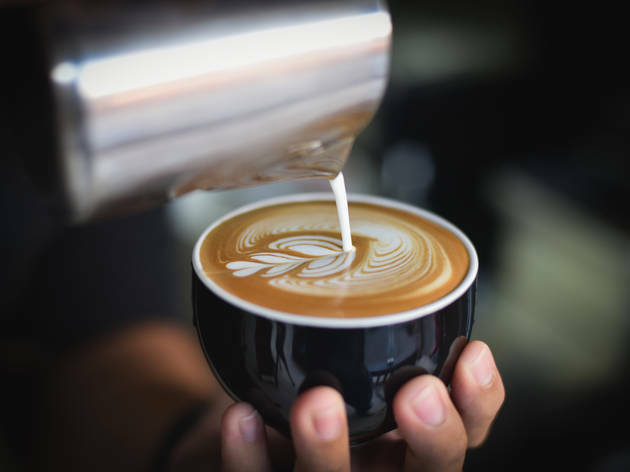 Learn the art of coffee with the baristas, who explain the complexities of making a cappuccino, affogato or the Chemex filter. The coffee beans are roasted on site. The food? 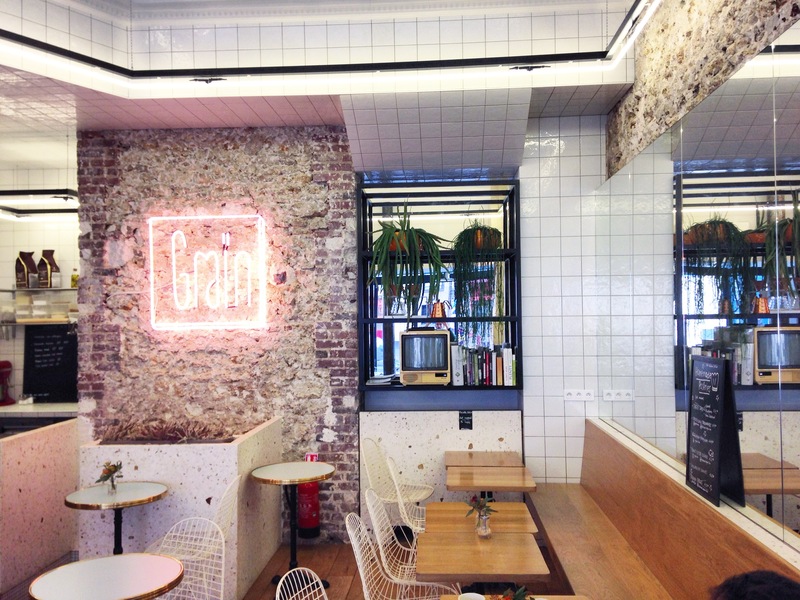 A French and Latin American fusion, inspired by a French-Colombian couple who founded Delirio. Empanadas, soups, salads, charcuterie boards accompanied with organic wine in the evening. The vibe? 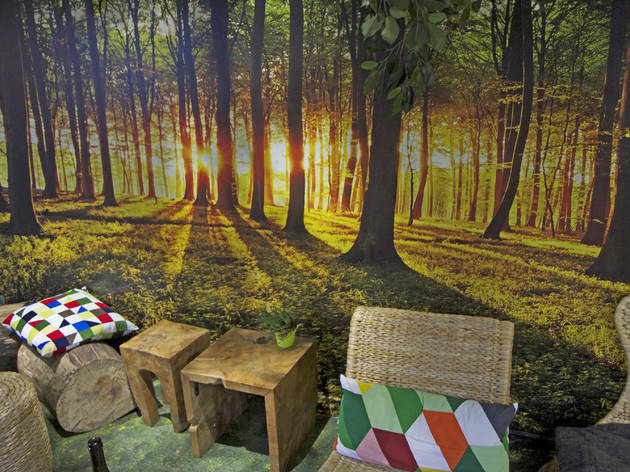 Winter and autumnal-effect wallpapering will make it feel like your drinking your coffee in the fresh air. The set-up? Bury your head in a book, and listen to the barista’s more interesting selection of music. The food? Simple salads and filling sandwiches. 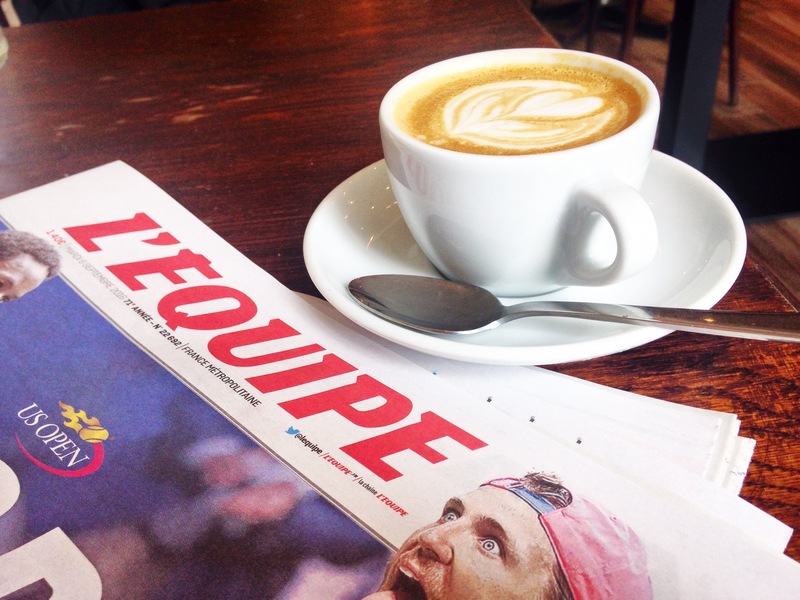 The coffee is especially assembled by Cuillier and roasted by Brûlerie de Belleville. The vibe? Relaxed, just like the price. And bookworms can find coffee-inspired tomes on the shelves.